Brown graduate transfer Rafael Maia will be out two weeks for Pitt with a right thumb injury sustained in a workout session earlier in the week, the school announced Friday. Maia’s right hand is currently in a soft cast and will be reevaluated in two weeks. 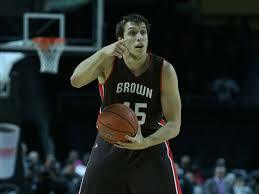 Maia averaged 10 points, 8.1 rebounds per game and 52.1 percent shooting from the field during his three-year collegiate career, played entirely at Brown up to this point.